SweMaint is Northern Europe’s leading company when it comes to repair and maintenance services for freight wagons. Their range of services includes wheel maintenance, wheel supply programmes and materials supply. They have workshops in ten locations at major railway hubs in Sweden and at Drammen in Norway, as well as 30 mobile workshops. In total SweMaint has around 250 employees, of whom 41 work on wheel maintenance. The wheel maintenance workshop is located in Gothenburg. Hello Kari Arbelius, wheel supply manager, SweMaint. Why did you choose Novacura Flow? What is the new system like? 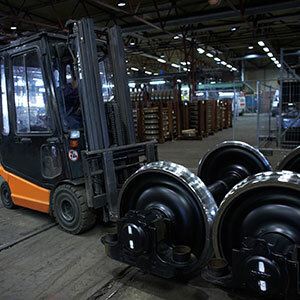 “Our customers have differing requirements for maintenance of their wheels, depending on their own specific operations. SweMaint is Northern Europe’s leading company when it comes to repair and maintenance services for freight wagons. New security requirements demanded extended documentation and easier traceability of the maintenance work performed in the workshop. 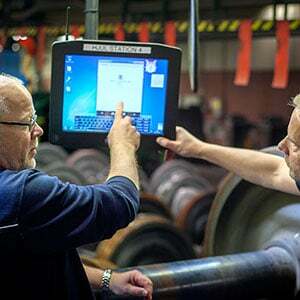 A user-friendly documentation system with high security using Novacura Flow.